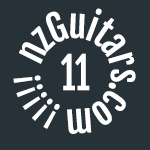 4x12 cab handles in NZ? Anyone travelling from Tauranga to Auckland? Pink Taco collect and deliver anyone? NAD!! Gave the Katana the Chop! What's this amp actually worth? Best courier company for shipping AC30 head to Ak? Qs for current or former Laney IRT Studio owners. Custom speaker cable - who can make? Best Boogie you've played through?